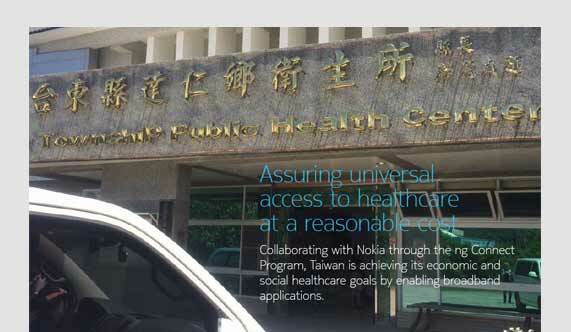 In collaboration with Nokia through the ng Connect Program, Taiwan is achieving its economic and social healthcare goals by enabling broadband applications. 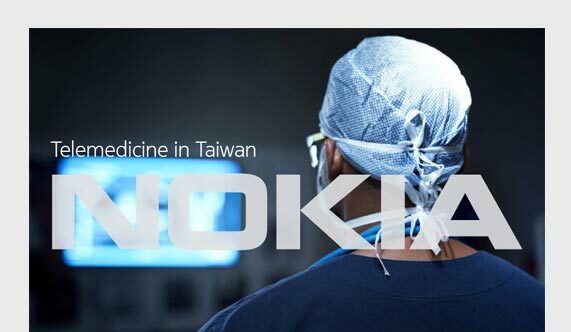 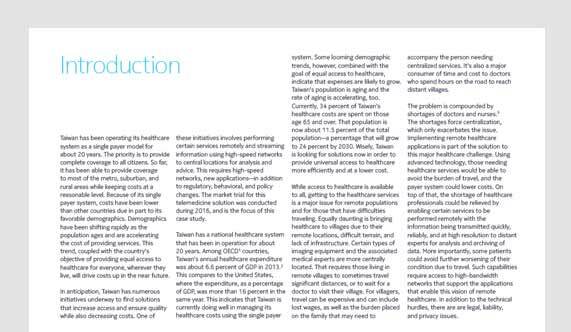 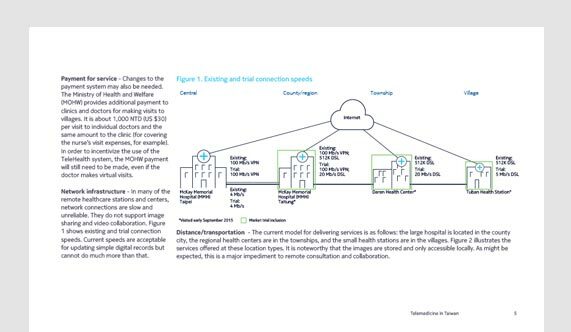 In this case study you will learn more about the healthcare solution which was demonstrated and trialed in remote villages of Taiwan and understand the challenges and benefits associated with the deployment of this solution. 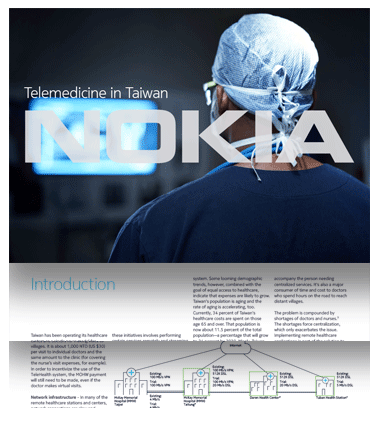 The case study comes with complete trial results including time and cost savings.